Eating chocolate every single day may actually be good for your health. Chocolate. It’s one of life’s great comfort foods. Bite into a bar of chocolate and a taste sensation overruns your senses. It helps to get you through troubled times and balance out over-rich meals. It can even just make an at-home movie night that much more delectable. Chocolate is truly a sought-after treat. But what if this delicious snack could be so much more than just an occasional indulgence? What if you could eat it guilt-free — or actually feel guilty if you don’t eat it? It sounds like a fantastical claim, but eating chocolate every single day may actually be good for your health. Obviously, everything in moderation. If you read this, then go and knock back an entire block, your body isn’t going to be overly impressed. But if you stick to the right chocolate, and don’t go overboard on your daily intake, you can reap all of the health rewards while also treating your taste buds. It sounds too good to be true, but science agrees. Research shows that chocolate has a wide range of health benefits. The only catch is that it needs to be dark — at least 72 percent cocoa solids. Anything less and the overload of sugar surpasses the goodness of the cocoa, turning your sweet back into a guilt-ridden snack. You also need to watch out for added (and unnecessary) fillers, like vegetable oils, artificial flavours and artificial colours. The purer it is, the better it is. But without further ado, let’s explore some of the health benefits. Forget those health-damaging energy drinks and constant cups of coffee, there’s a new energy-boosting kid in town. As most people know, chocolate contains moderate amounts of caffeine, which certainly helps to aid in your morning wake-up or mid-afternoon pick-me-up. But research indicates that the energy-boosting abilities may extend well beyond its caffeine hit. A 2015 study published in the Journal of the American College of Cardiology analyzed the effect of dark chocolate on seventeen “sedentary older adults.” Researchers placed eight of the sluggish participants on a placebo, while the rest were given two squares of dark product. Researchers then placed participants on stationary bicycles to measure their energy levels and lipid profiles as time went by. Another of it’s many health benefits is its ability to actively lower stress levels. A 2014 study published in the Journal of the American College of Cardiology measured the benefits of eating on 65 healthy males. Researchers gave 31 of the men a placebo, while 34 ate a small amount of 72 percent Swiss dark chocolate. The results said a lot about just how potent the health benefits really are. According to the study, “the group showed a significantly blunted cortisol and epinephrine reactivity to to psychosocial stress compared to the placebo group.” In addition, researchers found that these stress-alleviating effects were not altered by age or weight. This means everyone can benefit from a little bit when life gets a bit much. Researchers also found that the reduction in cortisol (a.k.a. the “stress hormone”) gave the adrenal glands a much-needed break. Considering how many people suffer from adrenal fatigue, this is an important finding indeed. If you’re looking for a food to help your heart perform at its very best, dark chocolate may be a good choice. Research shows that eating it can increase your risk of heart disease, partially due to its blood pressure-lowering effects. A 2015 study published in the European Heart Journal examined the effects of consumption on close to 20,000 healthy European adults. Researchers found that “chocolate consumption appears to lower CVD (cardiovascular disease) risk, in part through reducing BP (blood pressure). This heart-healthy effect particularly applied to lowering the risk of stroke. This health benefit seems the most far-fetched of them all, but science seems to think that it could be true! A 2012 study published in JAMA Internal Medicine found that chocolate consumption resulted in lower body mass index (BMI) for those participants who ate it on a regular basis. Additionally, researchers found that those who ate it more regularly had a lower BMI than those who ate it less often. Researchers thought that this effect was related to the higher saturated fat content and healthy calories in dark chocolate. That’s good news for all those chocoholics out there — myself included! It’s a well-known fact that dark chocolate contains a wide range of health-promoting antioxidants. What isn’t so well-known is it’s apparent ability to slow the aging process, due to its high concentrations of flavonols. Researchers in a 2015 study found that these nifty compounds “reduce some measures of age-related cognitive dysfunction, possibly through an improvement in insulin sensitivity.” Essentially, eating dark chocolate can protect your brain from the ravages of aging. Forget about those unhealthy prescription meds which are supposed to be keeping your heart ticking along. There’s a far tastier, healthier option: dark chocolate! The verdict is in — and it’s good news for chocolate lovers. Multiple studies show that it helps to improve many cardiovascular functions, including plasma epicatechin concentrations, arterial function and coronary vasodilation. 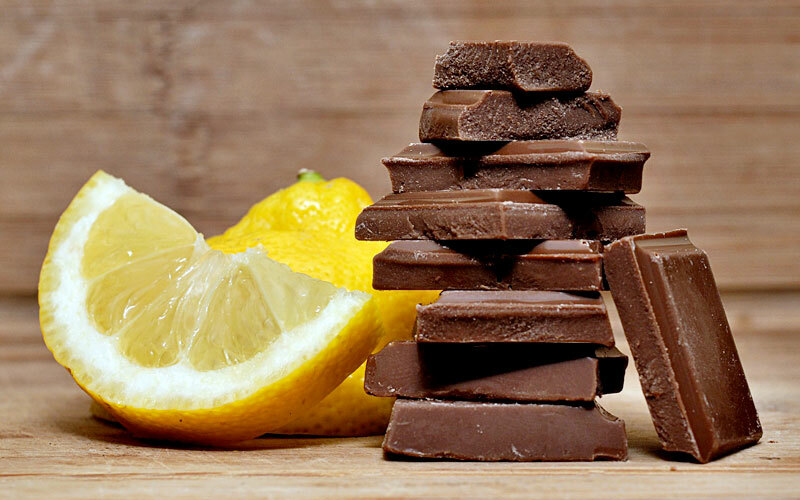 Those same flavonoids in chocolate which are responsible for so many of it’s other health benefits also make it a great snack for those suffering from diabetes. A 2013 study published in the Journal of Nutrition showed that the anthocyanins and other health-promoting flavonoids could help to lower insulin resistance. Not only that, researchers found that compounds in dark chocolate also improve blood glucose regulation, which is big news. It’s helpful not only for those suffering from diabetes, but also for those trying to avoid it. For all those self-proclaimed connoisseurs out there, the fact that chocolate can boost your mood will come as no surprise. How could anyone possibly be unhappy as they pop some deliciously decadent dark chocolate into their mouth? But it always helps when science agrees with popular consensus. While we’re on the subject of health-boosting, does anyone fancy a cognitive boost as well? Eating dark chocolate can help you do just that. The scientific literature indicates that certain compounds can elevate brain function. A 2013 study published in the American Academy of Neurology examined the effect of cocoa consumption on 60 elderly participants over the course of 30 days. Researchers found that “there is a strong correlation between neurovascular coupling and cognitive function. Both can be improved by regular cocoa consumption in individuals with baseline impairments. Better neurovascular coupling is also associated with greater white matter structural integrity.” In other words, cocoa can boost your brainpower.